There’s another new craft brewery in the works for New Brunswick! However, this one will differ significantly from the other start-ups in the area – Red Rover Brewing Company will be brewing cider. 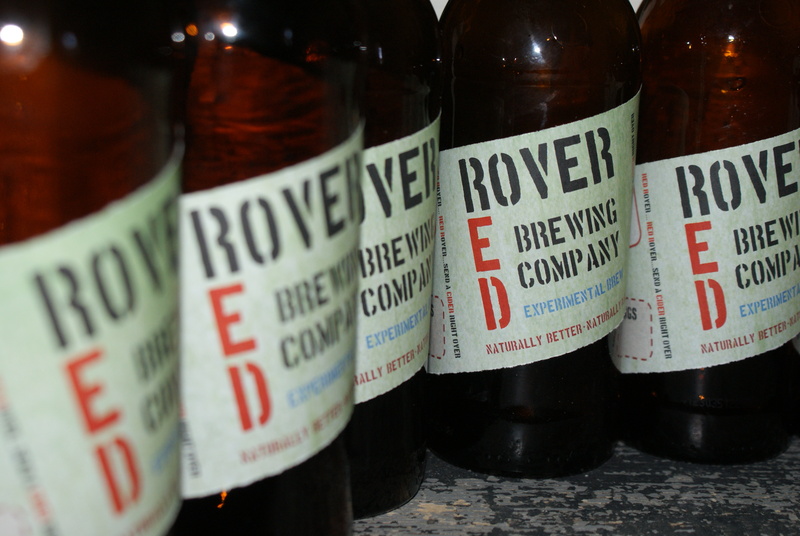 Owned by Adam Clawson and Nicola Mason, both originally from Leeds, England, Red Rover ciders should be available to the public by late 2013/early 2014. Adam and Nicola plan on opening their cidery in the Fredericton area. I recently met with Adam and Nicola to find out more about their plans for Red Rover. Can you tell me about how this all started for you? With so many new beer breweries popping up, what gave you the idea of brewing cider professionally? We grew up with a great selection of ciders and beer and were excited to see what would be on offer in Atlantic Canada. When we arrived in Fredericton five years ago, we discovered a number of really tasty craft beers, but couldn’t find any cider. Once we began to brew our own and started to share it with friends we realized that we weren’t the only ones who missed being able to order a pint of cider at the bar. Those people and others who were new to the drink showed great enthusiasm for it – that was what finally encouraged us to try and brew it professionally. Do you have a history of homebrewing beer and/or cider? Yes, we have been brewing both cider and beer for a number of years. Our favorite home-brewed beers are IPAs and Stouts, and we enjoy the challenge of making different types of cider. Although styles have changed slightly as we move from a homebrew to professional setup, the concept has stayed the same: producing a great craft beverage from local, fresh-pressed juice. What types of cider do you plan on brewing/distributing, and can you tell me a little about them? We will eventually be releasing three main styles. They are yet to be officially named, but they are brewed to complement three of the four seasons: Spring, Summer and Fall. With the spring comes a fresh, crisp feel in the air; this is reflected in the sweet, crisp flavor of the first cider. Our second cider is dry, fruity and refreshing – perfect for a hot summer’s day. As the season changes, our final style is brewed with spices to warm on the cool fall evenings. We haven’t forgotten about winter and have something extra-special in the works. In addition to regular batches, we plan to produce a series of one-off releases throughout the year, incorporating other seasonal fruits. For the first year, we plan to be distributing in kegs only, at local restaurants and bars. We’ll be brewing two 500 litre batches per month, and probably concentrate on one or two types (sweet cider and dry cider) for the first while. We already have some restaurants/bars confirmed to carry the product, with others definitely interested… it’ll probably be around ten spots that will be serving our ciders for the first year. Where will you be sourcing your apples? All of our apples will come from orchards in the Saint John River Valley. As we have gone through the process of planning our business, it has always been clear that we wish to be a local business supporting local growers. What are some of your favorite apple varieties to use in cider? The best cider is brewed using more than one apple; we like the golden colours that Macs add to the blend. It’s also important to balance sweet with sharp, so we sometime include a tangy variety called Paula Red. Have any local brewers helped in the process of getting started? Yes, Sean Dunbar [of Picaroons] has been a great supporter from the start, with all the aspects of the tangled web that is alcohol production in the Maritimes. Do you currently have a location for your cidery? We have been searching for the last year to find a suitable location. We intend to eventually have a property that reflects our local, quality product, such as a heritage building or Dutch barn. What type of brewing equipment do you plan on having initially? We intend on having a Spidel hydropress and associated crusher for extracting the juice, and also up to 20 1kL storage vessels for pre-fermented juice, along with an additional five 0.5kL fermenting and racking conical vessels. Cider brewing generally takes longer to result in a finished product than most beer styles. For your regular-release styles that you plan on releasing, roughly how long will this take per batch? From juice to lips, the process takes about 2-3 months to mature to a fuller flavour. We will be releasing it at this period, although it is possible to mature it for up to a year or more. Within the next few years, we hope to be producing limited batches which have been matured for 6-12 months. From whom have you learned the most in respect to brewing? In terms of general production, Sean Dunbar created the craft scene in Fredericton and we’re glad to be able to learn from that. In terms of cider production specifically, one name above all others comes to mind: Andrew Lea. A retired research scientist who spent the majority of his career studying most aspects of cider, his work has been invaluable to the new generation of cider makers. You had several free tasting sessions in 2012. Will these continue in 2013, and if so, how does one attend them? We are currently maturing our first large-scale batch for tastings to be held throughout the summer. The best way to attend a session is to sign up to the mailing list on the website. What will make Red Rover different from other breweries? We don’t do Beer! 🙂 But, in all seriousness, our product will be produced from 100% NB ingredients, will be gluten-free, and be able to be enjoyed by both beer and non-beer drinkers alike. I notice that you list Red Rover as a “microbrewery”, and not a cidery. Do you have any plans to expand beyond cider? Are you planning any fundraisers or merchandise sales to help generate income for the brewery? Very soon people will be able to become a supporter of the brewery; this involves a special choice of t-shirts tailored to the local area. There will also be other items available for purchase, including some more unconventional swag… but people will have to check the website in the coming months. We’re looking forward to when Red Rover ciders will be available at local bars and restaurants in the area, and wish Adam and Nicola the best of luck with the rest of the start-up process! We will continue to post updates on their progress. Also, follow them on Twitter and Facebook, and sign up on their mailing list to be informed of upcoming tasting sessions. Looking forward to finding some fresh local cider in New Brunswick!